I found other odd side benefits too. In prisoner of war camps across Europe, British POW amateur ornithologists kept meticulous records of birds passing by, creating a comprehensive log of species, some of which were previously unrecorded. While fighting the Japanese in the jungles of Malaya, a British SOE agent, Freddie Spencer Chapman, recorded the wildlife he encountered with scientific dedication. In London, for years after the WW2, the broken, damaged buildings and undeveloped over grown bomb sites provided homes for a plethora of birds and insects. Nobody was too bothered about appearances at that time. Certainly not to the extent of knocking off under-eaves house martins nests because they made a bit of mess on the walls, as so often happens now. When we visited the Falkland Islands a few years ago we were interested to see how the failure to clear the mines off the beaches there has had a beneficial effect on sea bird populations. Protected from human interference, too light to set off mines, their numbers have increased steadily. Most modern warfare seems to be more detrimental. The on-going unrest in Africa, Afghanistan and the Middle East has devastated wildlife habitats. Oil waste from damaged vehicles has contaminated land and natural water sources. Deforestation and pollution are rife, and conservation largely impossible. But on the other hand, there are reports that, like the migrating birds of WW2, and perhaps due to people being too busy shooting each other to bother with slaughtering other species, the survival rate of Asiatic black bears, grey wolves, leopard cats and porcupine in certain areas of Afghanistan has improved. I am (clearly) no expert. But while I can understand the inevitable effects of warfare on wildlife, I do wish that, where war or privation isn’t to blame, people would try to give wildlife a chance, whether it be welcoming a martin’s nest under their eaves, leaving a gap in a converted barn roof for an owl, cutting down on the use of slug pellets, or signing a petition to stop the relentless slaughter of migrating birds over the Mediterranean. Interesting thoughts on a rarely-discussed topic, with a persuasive plea at the end. Brilliant! Thanks so much Stewie, glad you liked it! Excellent post and something I’d never considered. Thank you, I’m glad you found it interesting! Really interesting piece, had never considered this aspect of war! Mostly when I think of animals and war it’s to do with all the poor abandoned pets. I remember going to an exhibition about the holocaust at the Imperial War Museum – at the entrance they had photographs of jewish people before it all kicked off – doing ordinary things – sports, a day at the beach etc. One lovely photo was of an elderly man and his dog, the man sitting and the dog standing up with its paws in his hands, looking into each other’s eyes. So sad to think of what probably happened to both of them. Yes indeed, many pets and zoo animals had a very bad time. The poisonous snakes at London Zoo were destroyed in case the zoo got bombed and they escaped. I have mixed feelings about zoos anyway, good in terms of conservation and education I suppose, but grim for the animals. Having said that, I have never seen such (apparently) happy lions as we saw recently at Longleat! Hi Helen, I agree with every word. 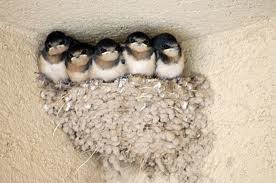 This year, in Suffolk, I see a sharp decline in the number of swallows coming to my out-buildings. The mad busy-ness where six or seven pairs dart in and out continuously seems far more sedate this year. What has caused this? Italian and Maltese guns? Or African upheavals. On a positive note, I am having my house exterior painted and I watched the painter go carefully round a house marten’s nest in the apex of two sofit boards, while two black eyes and a little beak peered through the hole of the nest. On a really not-positive note, I saw a documentary which dated the resurgence of European oak forests to the wholesale slaughter carried out by Ghengis Khan. Hmm. Yes, we have a couple of pairs of house martins too, right outside out bedroom window. They fledged today! And actually we have a new pair of swallows in the barn too. But overall it is bad news. I can almost understand people shooting wildlife for food, but not just for tiny bird trophies on a stick. Gross.